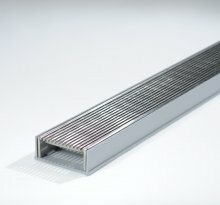 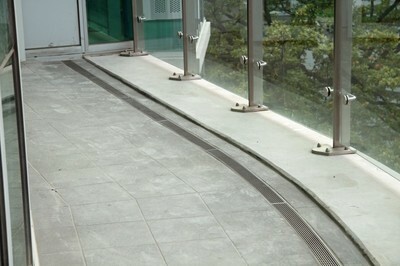 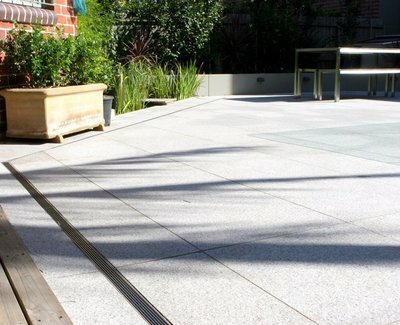 Stormtech slimline channel grates and drains provide efficient water removal with an architectural modern finish. Featuring an award winning design, slimline drainage products are efficient and provide easy access in high traffic areas. 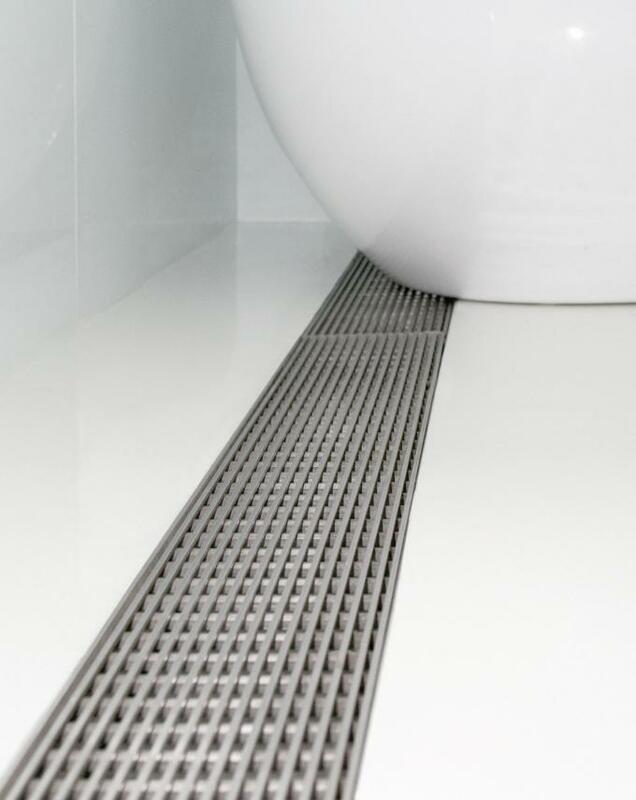 Slimline drains create a level entrance to thresholds - the narrow profile provides a seamless integration between internal and external areas. 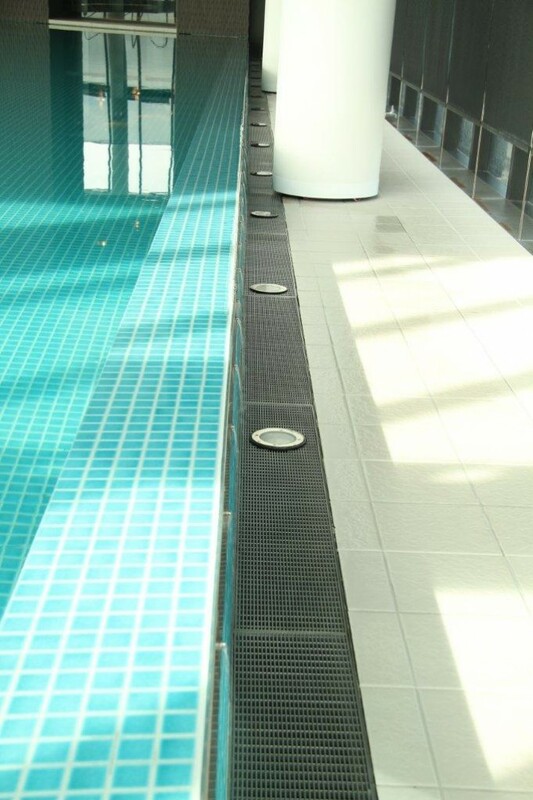 ​The revolutionary design removes water from the trench using one or multiple outlets. 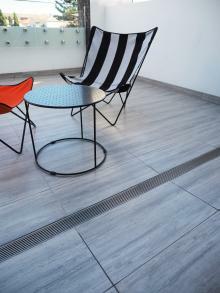 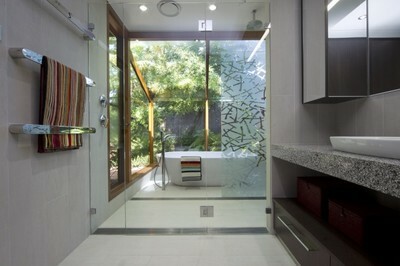 ​When large format tiles are selected, Stormtech drains remove the need to crosscut the tiles. 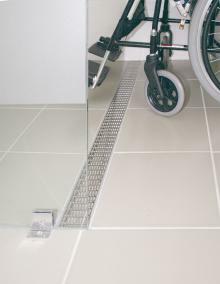 In bathrooms, particularly shower areas, the slope of the floor can be made into a uniform direction, without the multiple fall required when using central floor drains. 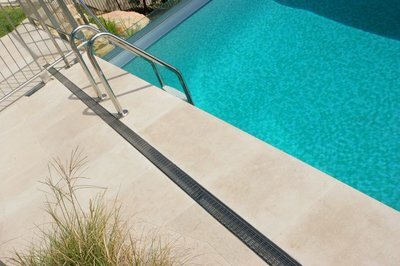 ​This increases safety significantly by allowing the use of non-slip tiles, reducing the amount of water pooling on the floor surface and removing the need for steps, hobs and frames, thus reducing trip hazards.